This stunning, fine and impressive five stone sapphire and diamond ring has been crafted in platinum. 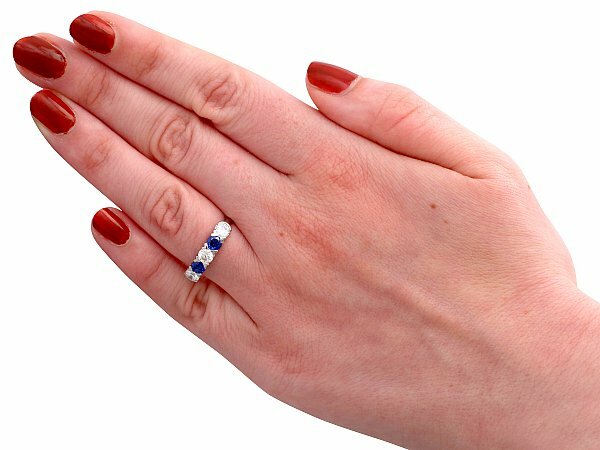 The pierced decorated, simple yet effective setting has a scalloped design, ornamented with two individually set round mixed cut blue sapphires. 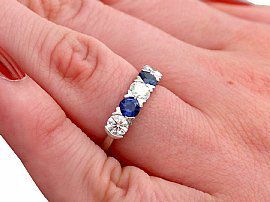 The sapphires are set alternately between three modern brilliant round cut diamonds. The ring is hallmarked to the interior of the shank with the maker's mark 'TJG', the platinum fineness mark (950), the Edinburgh Assay Office hallmark (castle) and the date letter for 2016 (r). 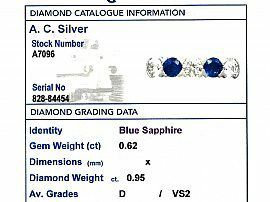 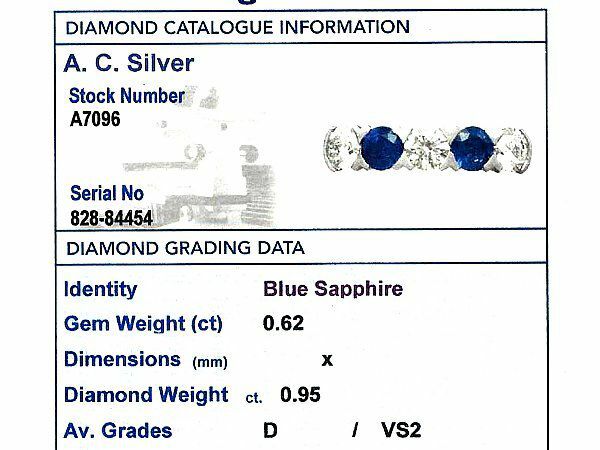 This contemporary five stone dress ring is supplied with an independent diamond grading report card. 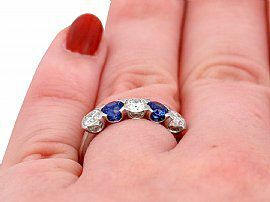 This stunning gemstone dress ring is fine quality set with blue sapphires and very well colour matched, very high colour graded diamonds.